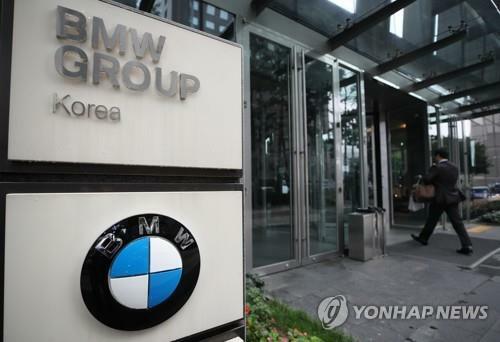 SEOUL, Aug. 30 (Yonhap) — More than 1,200 South Korean customers will file a damages suit against German carmaker BMW this week over the latest recall following a series of engine fires, a local consumer advocacy group said Thursday. A total of 1,226 consumers will file the case with the Seoul Central District Court on Friday, seeking 15 million won (US$13,500) in compensation each for the money spent to rent a car as well as psychological damages, according to the Korea Consumer Association. The planned legal action comes as the South Korean government is looking into the cause of BMW’s engine fires amid lingering safety concerns. Some 40 BMW cars have caught fire so far this year, although there have been no injuries or fatalities. The German carmaker has blamed the exhaust gas recirculation component as the “root cause” of recent fires. The EGR is one of the principal devices used to reduce nitrogen oxide emissions from diesel engines. BMW’s South Korean unit began recalling more than 106,000 BMW cars last week. Earlier in the day, police raided the main office of BMW Korea to probe whether the company hid vehicle defects that led to the fires. The number of BMW car owners participating in the suit is expected to increase down the road, according to the association.